For travellers and families wanting a seaside retreat with activities for all the family, La Masia proves the perfect choice. Located in Costa Brava, the luxury camping site is sandwiched between the Mediterranean sea and the foothills of the Pyrenees mountains. This setting provides the perfect base to relax by the sea, with the opportunity to soak up the culture and history with Roman ruins and pretty medieval towns, or to get active with hiking and water sports. Located on the Catalonian coast facing the Mediterranean, La Masia's main draws are the long sandy beaches and turquoise sea which lie just 300 metres from camp. Back at base, however, luxury awaits with well-shaded mobile home accommodation and tree-lined paths to and from the seaside. With numerous activities for all the family to enjoy nearby, you can book your next camping holiday at La Masia through LuxCamp. Why choose Camping La Masia? Activities for children throughout the day. 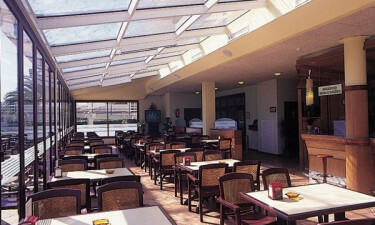 Supermarket, restaurant, bar and cafe. 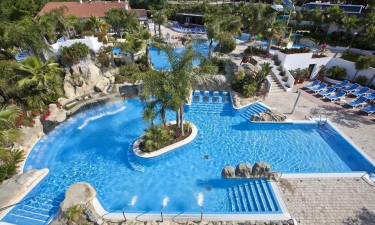 Whether you are looking for a quick dip or a serious swim, there are several pools on site. 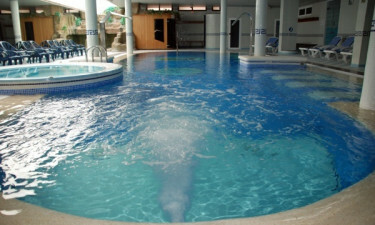 There is a large pool, children's pool, paddling pool and fountain for all the family. With well-shaded terraces, bar facilities and copious deck chairs, there are plenty of opportunities to soak up the Spanish sun. If you fancy a dip in the beautiful Mediterranean sea, a 300-metre walk takes you straight to the long sandy banks of the beach, ready and willing for sandcastles and paddling. There are plenty of seaside eateries to be found in the nearby towns and harbours which are a short walk via the beach side.